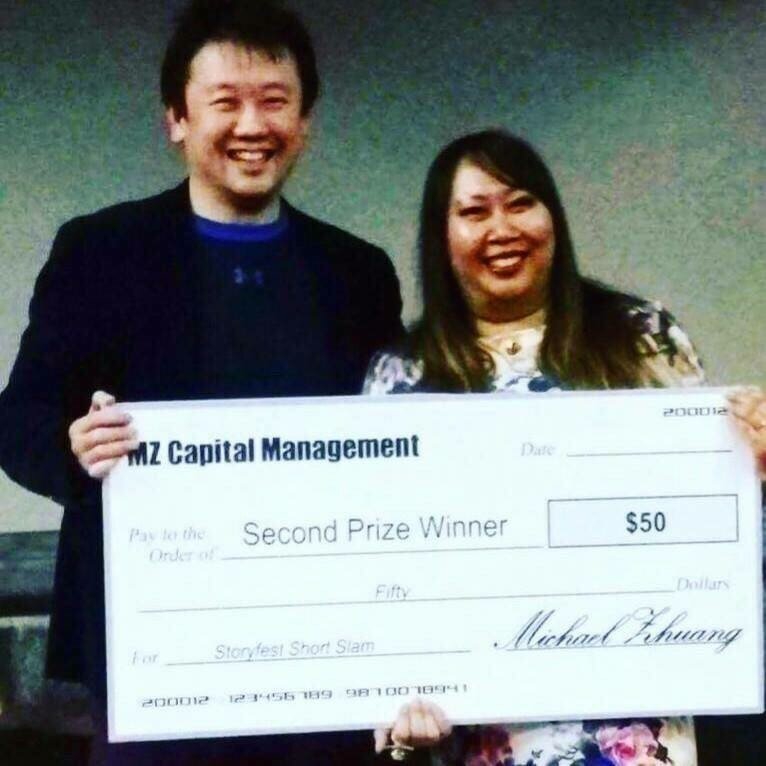 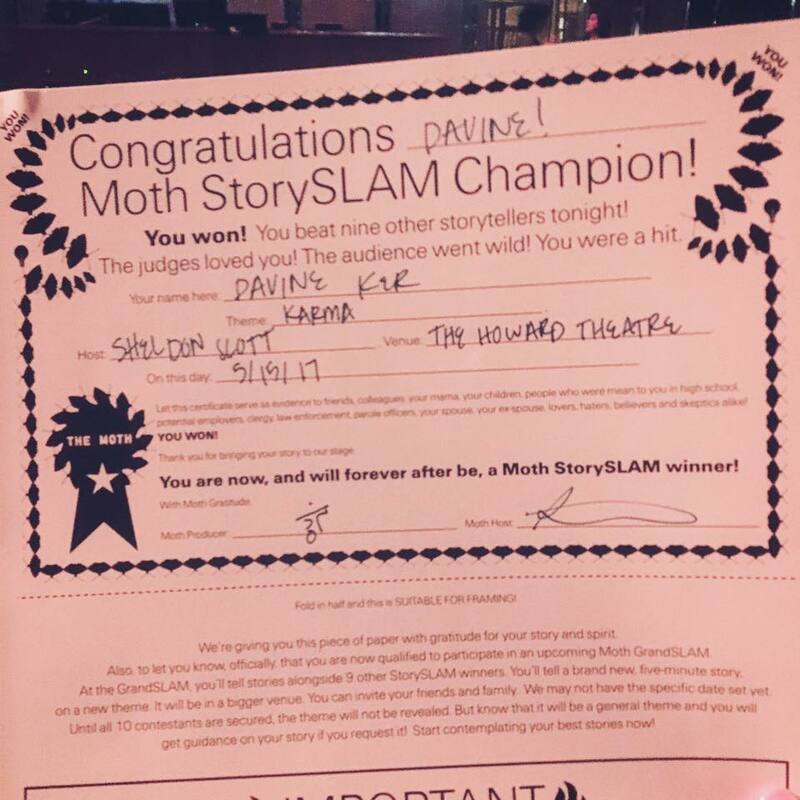 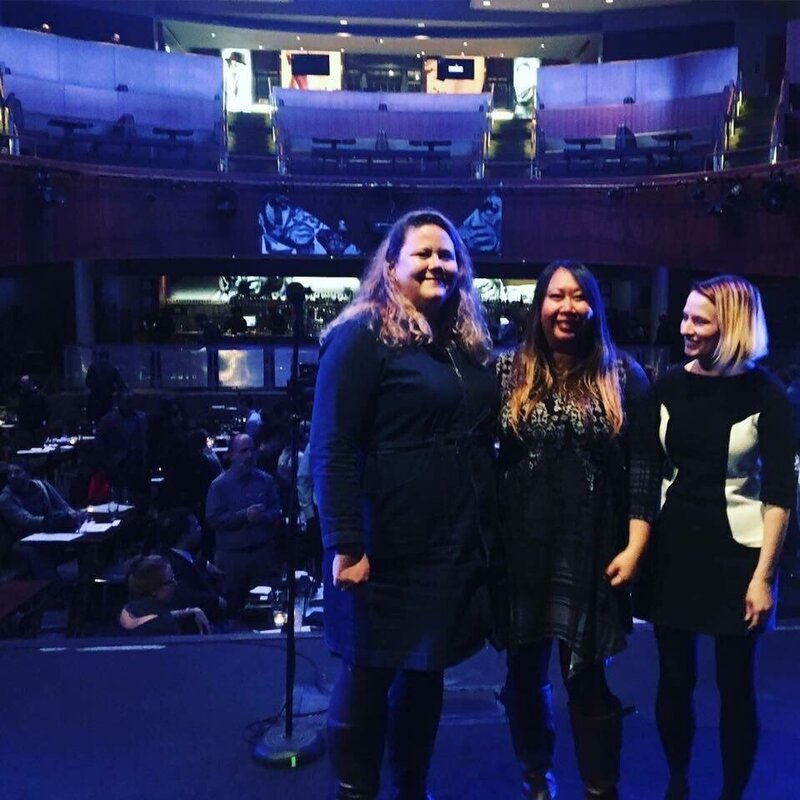 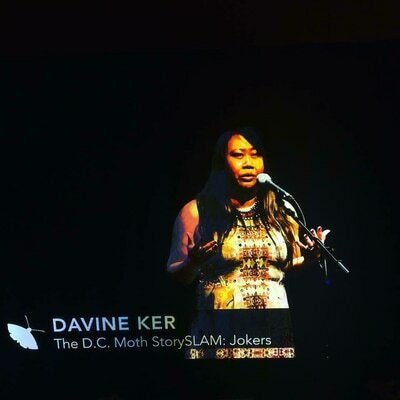 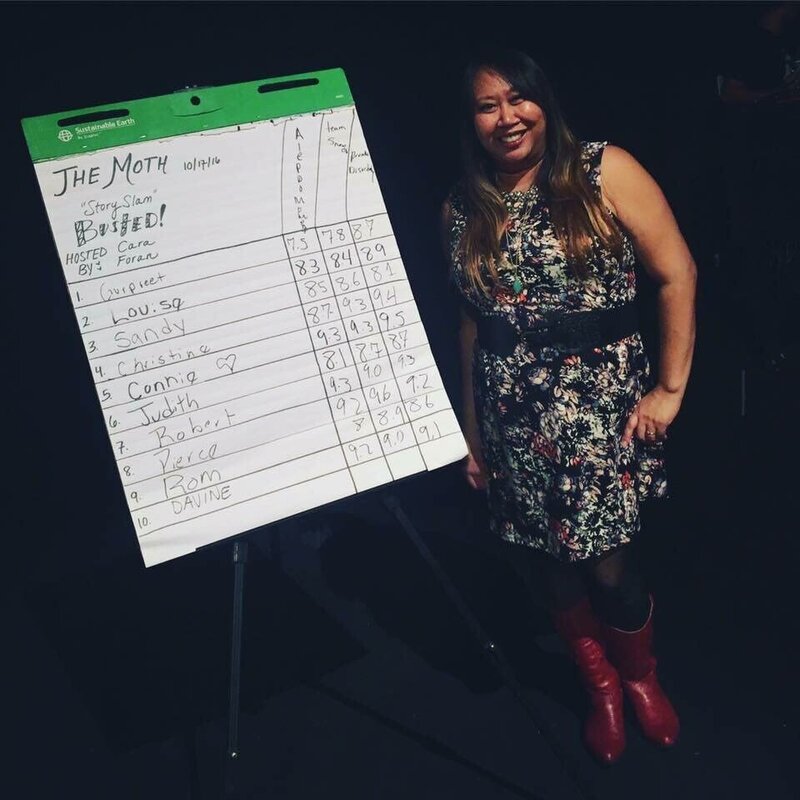 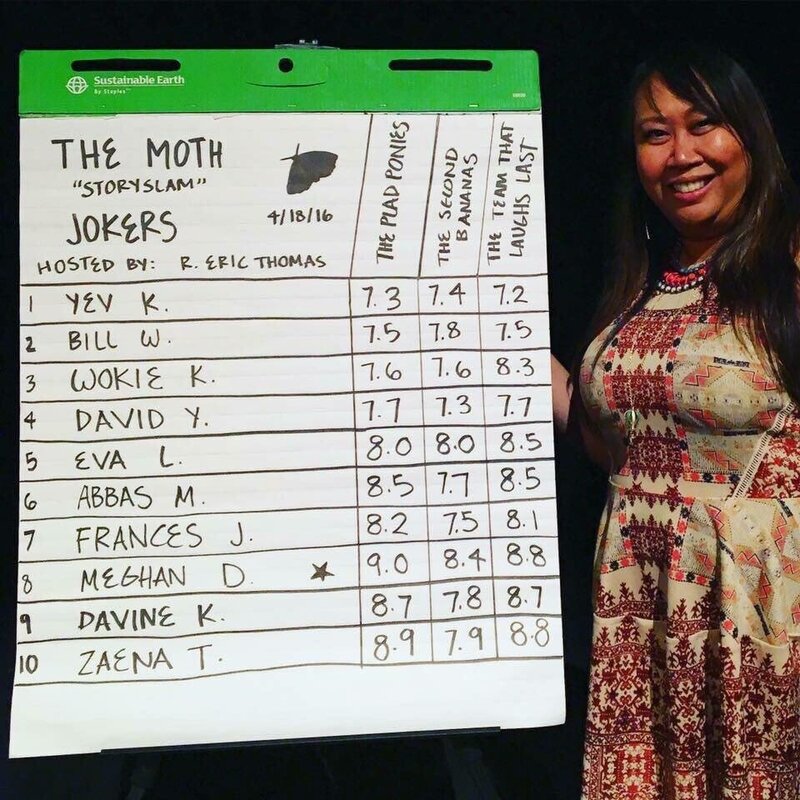 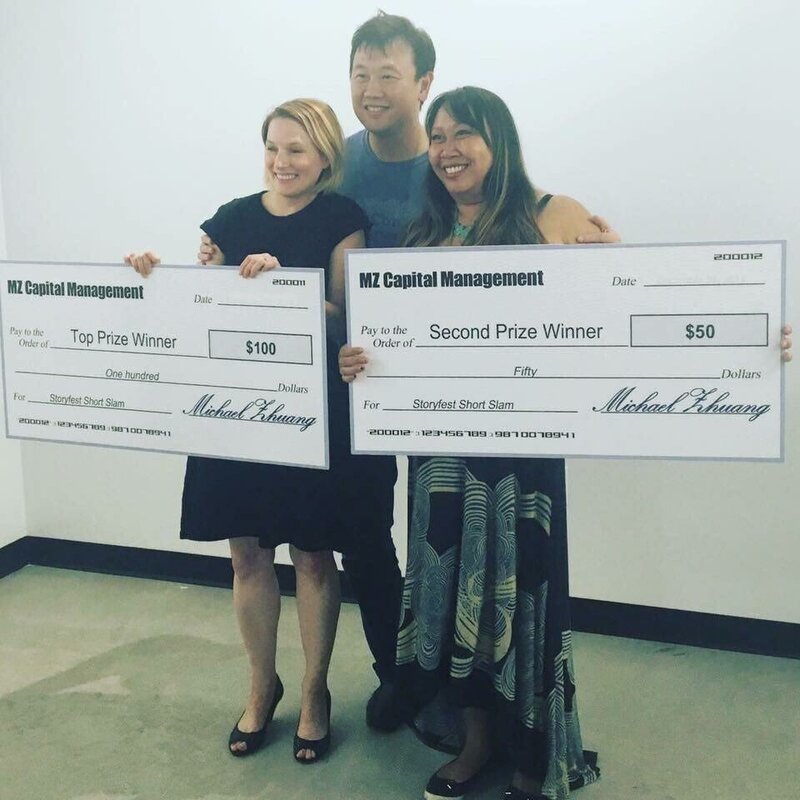 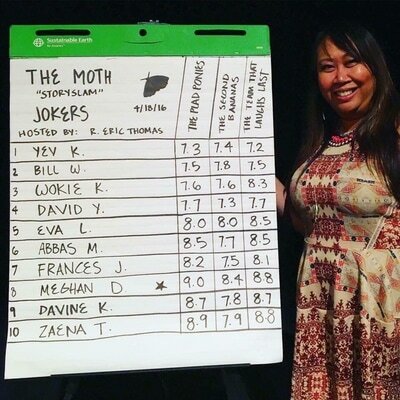 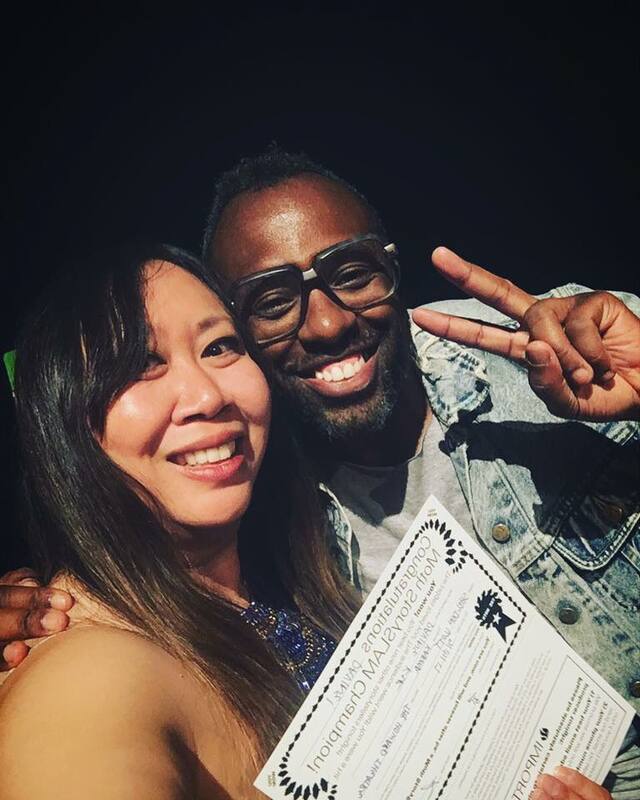 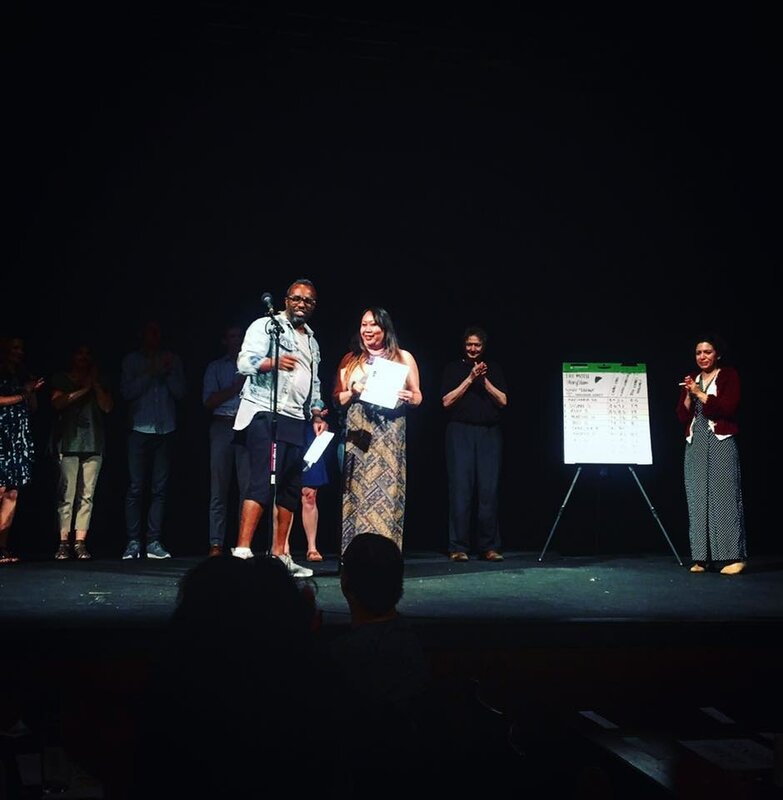 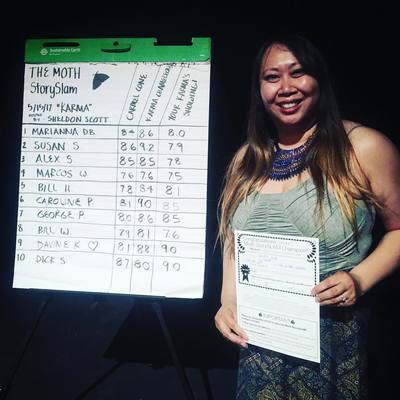 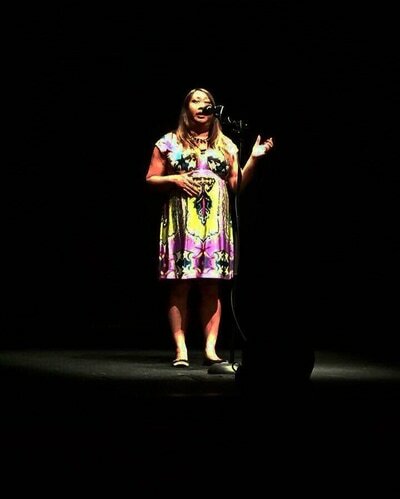 Davine Ker is a Moth StorySlam Winner and StoryFest Short SLAM winner. 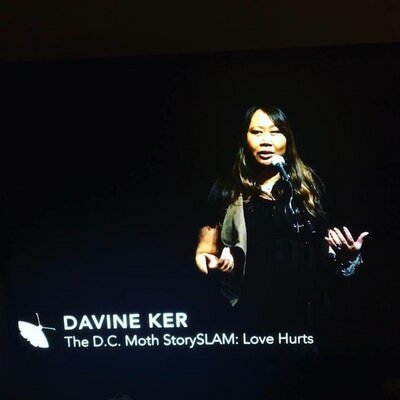 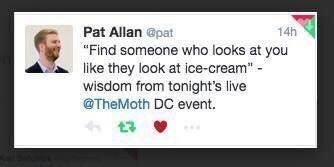 You can catch her unique brand of honesty to the crowd at Perfect Liars Club, The Howard Theater , Better Said than Done, and Story District in July. 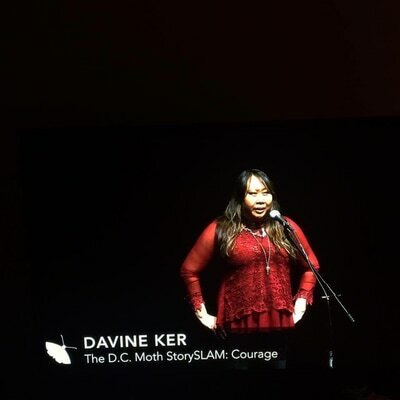 Davine is as graceful as a feather that lands into pudding. She's Cambodian, Canadian and American. 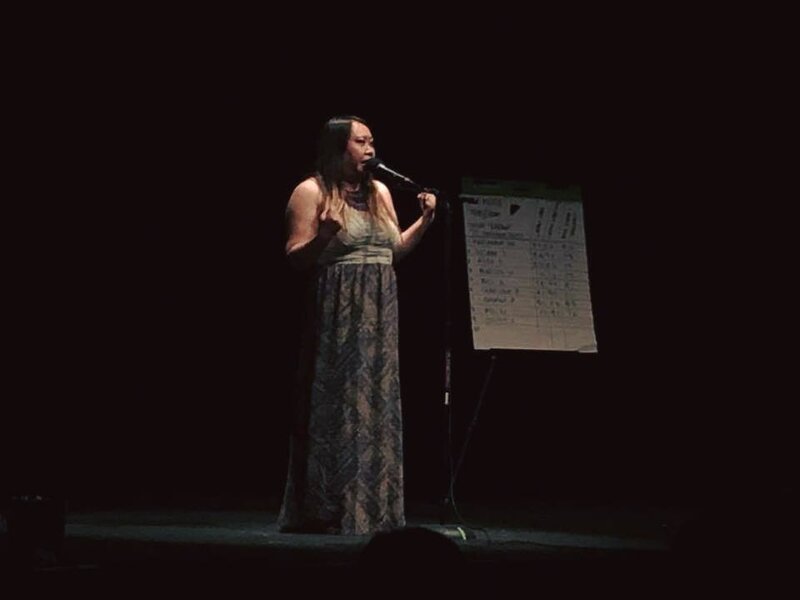 Her stories captures such things as her figuring out of her roots to whether she is more of a potato or a yucca, or just sweet. Davine makes you dance through her life’s faux pas, and feeds the audiences with a range of emotions, funny perspectives, perplexedness, flavors, imagery of her upbringing, memories, hopes and dreams. 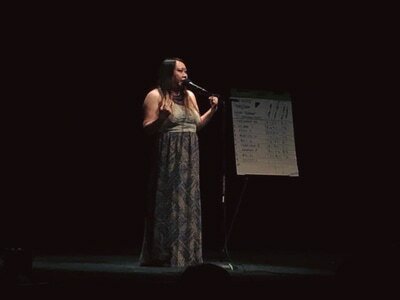 You will cheer for her while she shares stories of her roots and paints pictures with her words.